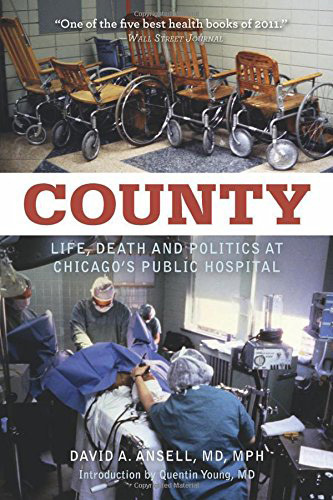 County is the amazing tale of one of America’s oldest and most unusual urban public hospitals. 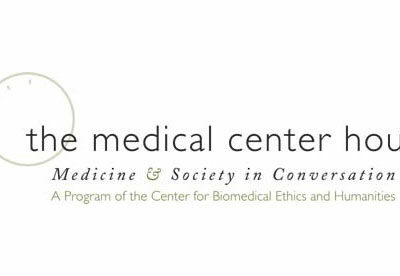 From its inception as a “poor house” dispensing free medical care to indigents, Chicago’s Cook County Hospital has been both a renowned teaching hospital and the health care provider of last resort for the city’s uninsured. County covers more than thirty years of its history, beginning in the late 1970s when the author began his internship, to the “final rounds” in 2002, when hundreds of former trainees and personnel, many of whom shared Ansell’s vision of resurrecting a hospital in critical condition, gathered to bid the iconic Victorian hospital building an emotional farewell before it was closed to make way for a new facility. County is about people–from Ansell’s mentors, including the legendary Quentin Young, to the multitude of patients whom he and County’s medical staff labored to diagnose and heal. It is a story about politics; from contentious union strikes, to battles against “patient dumping.” Most importantly, it chronicles the battles for instigating new programs that would help to prevent, rather than just treat, serious illnesses, including the opening of County’s HIV/AIDS clinic (the first in the city), as well as an early-detection breast cancer screening program. Finally, it is about an idealistic young man’s medical education in urban America, a coming-of-age story set against a backdrop of race, segregation, and poverty.